Paris is simply beautiful. There is a reason it is one of the most famous and visited cities in the world. Everywhere you turn you are confronted by historical sites, streets spilling with excitement, amazing food and beautiful style. Walking through Paris is simply a joy. The streets are wide and clean and easy to navigate. Each area is unique and has it’s own vibe. We loved it! Luckily Scott and I have already visited 3 times before. In fact we actually got engaged in Paris in 2004! This meant that we weren’t overly fussed about whether we went into all of the attractions. Our kids are little and churches and old buildings aren’t always as exciting as a park! This was handy as the queues for everything were so big. 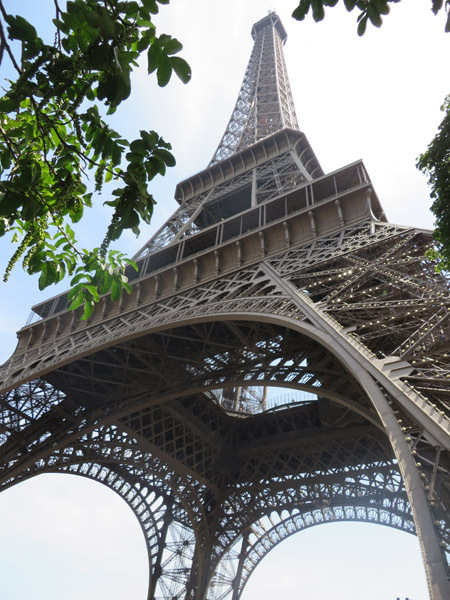 I have travelled to lots of places over the years and I have NEVER seen tourists as thick and pushy as the ones in Paris in August! We started off with a bus tour. I was a little dubious about it as I wanted to walk. 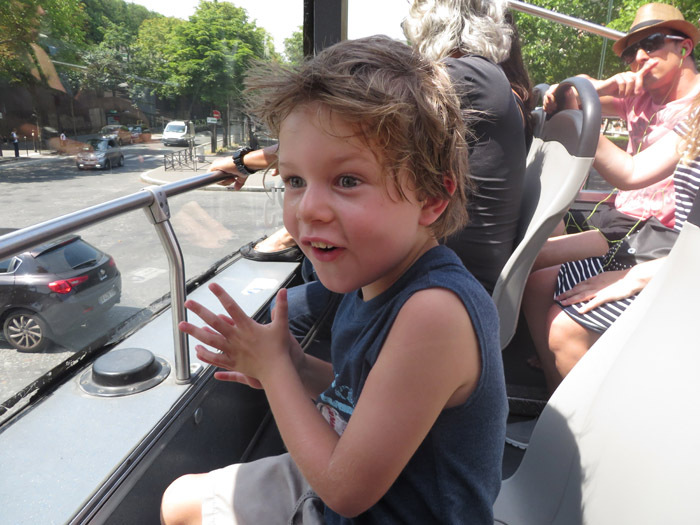 However, Tom wanted to go on the open air bus and check out the city. Big Mistake! Huge Mistake! We would have been faster walking! It was extremely hot and very slow. 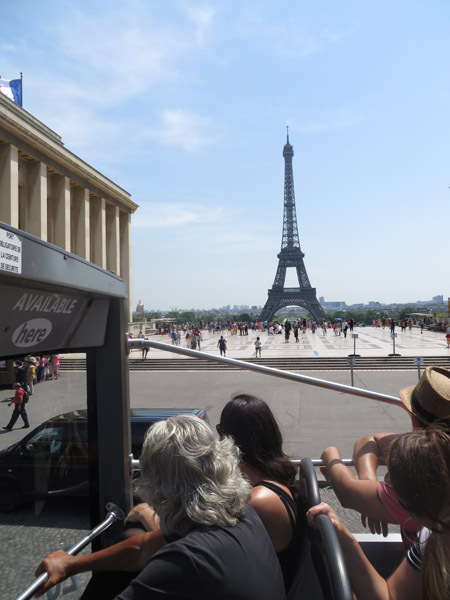 If you know Paris, it took 2 hours to get from Opera to the Eiffel Tower!! 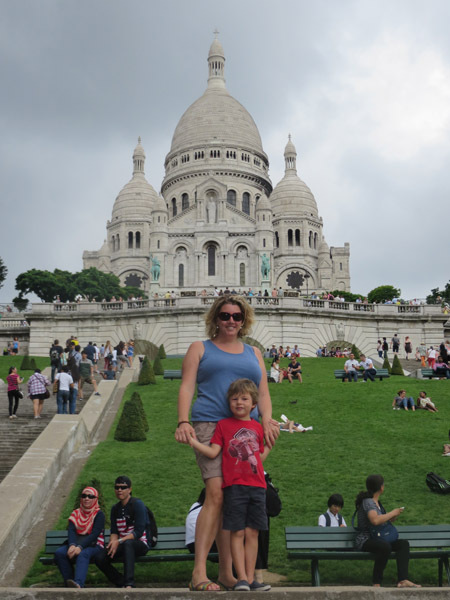 We still managed to see some of the beautiful sights including the Sacre Couer which was one of my favourites! The Basilica of the Sacred Heart of Paris, commonly known as Sacré-Cœur Basilica and often simply Sacré-Cœur, is a Roman Catholic church. It is perched on the top of a hill in the north of Paris and is just stunning. There are lots of steps (not great access for Prams) however there is also a cable car (funicular) which also runs up the side and accepts Metro tickets! We had a lovely time wandering around and just enjoying looking at everyone in the parks and the view from the top looking back at the city! 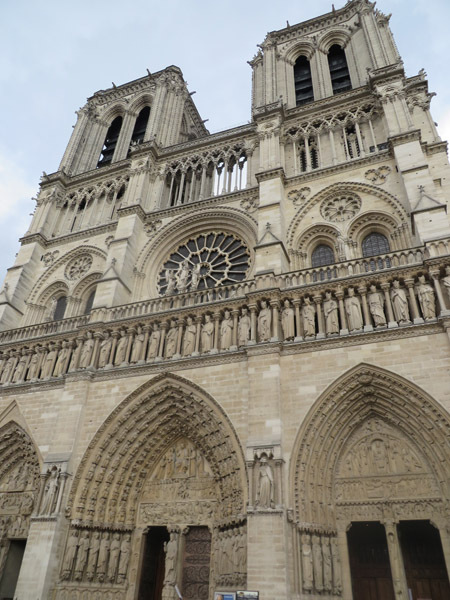 Another on of my favourites is the Notre Dame. This has to be my all time favourite church. It is so beautiful and has a lovely peaceful feeling inside. 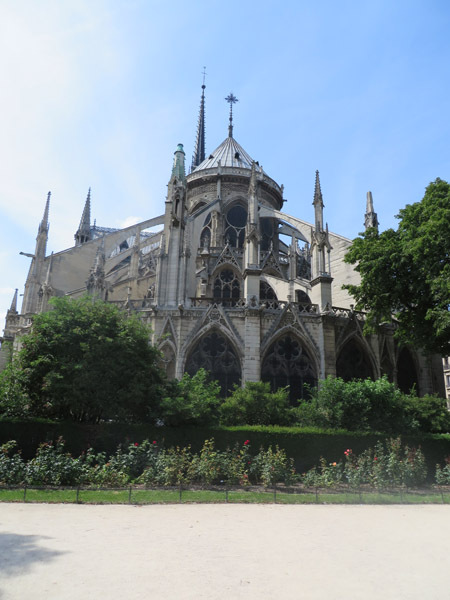 It is also a Catholic church and was completed in the mid 1300’s. In the early 20th Century Joan of Arc was beatified by the church and there is a beautiful statue inside in her honour. The back of the cathedral is very scary and gothic, but also beautiful. The grounds behind the church include a lovely playground for kids and seats for people to just watch the world go by! 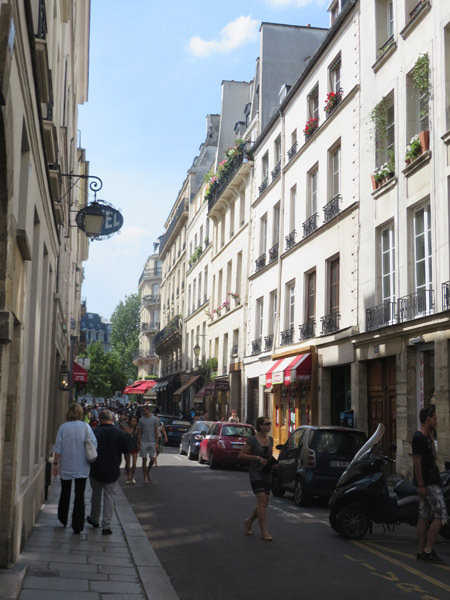 The beautiful streets of the Ill de la Cite. 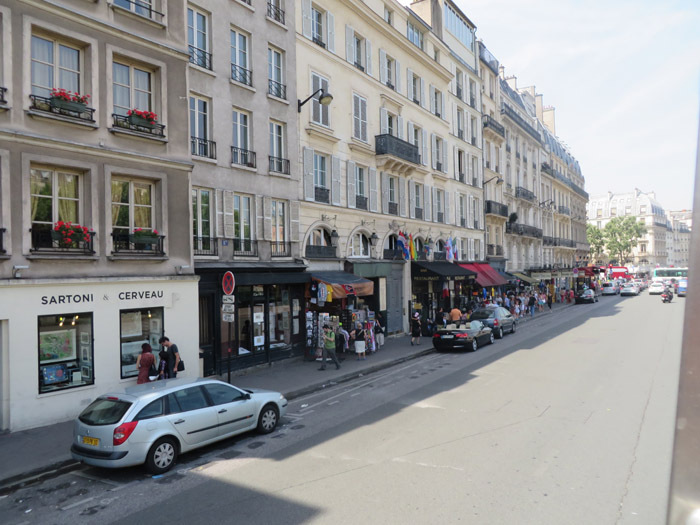 This photo below is what most Parisian streets in this area look like. Five story apartment buildings and shops on the bottom level. It is a real pleasure just wandering around and enjoying walking through each area! 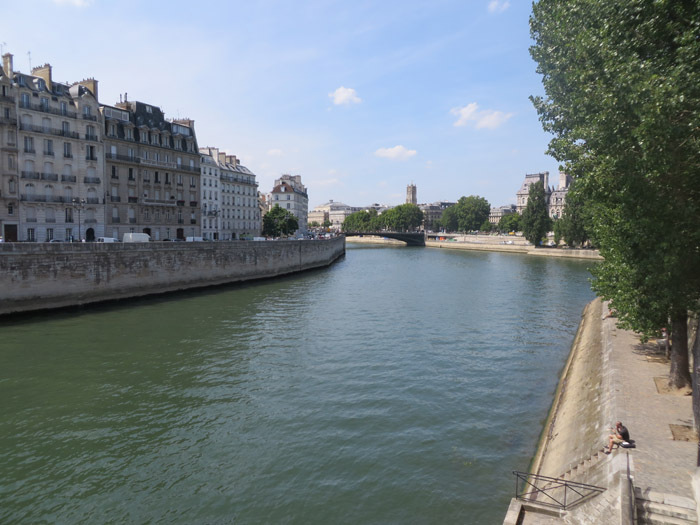 If you have time spend the afternoon walking from the Notre Dame along the river and into St Germain district. It is filled with beautiful restaurants, home ware shops, bars and street performers! View of the river from our bus trip. 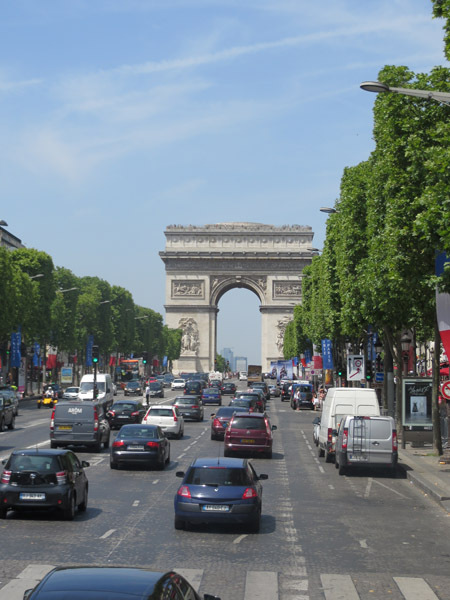 The Arc De Triomphe is at the top of the Champs Elysees. It is actually massive and amazing to walk around. It is in the middle of one the most chaotic roundabouts I have ever seen (no lanes, but probably 5 lanes wide) and has about 8 exits! Tom has be telling me he wanted to see the Eiffel Tower for over a year now. When we were in Bali he would often ask about it or ask me to show him photos on the computer. The main reason we came to France was so he could see it! We didn’t tell him when it was coming up and the below photos are of his little face as he realises he is about to see it for the first time! I think this one (below) has to be one of my favourite photo’s ever! I just love the look of pure joy and excitement on his face! We got off and had a look around. We didn’t go up that day because we arrived at lunchtime and the queue was 2 hours long so we saved it for another day when we could get there at 9am! I love this building. I know the French don’t like it, but it really is beautiful (what a surprise LOL) and the grounds around it are so green and great to wander through. 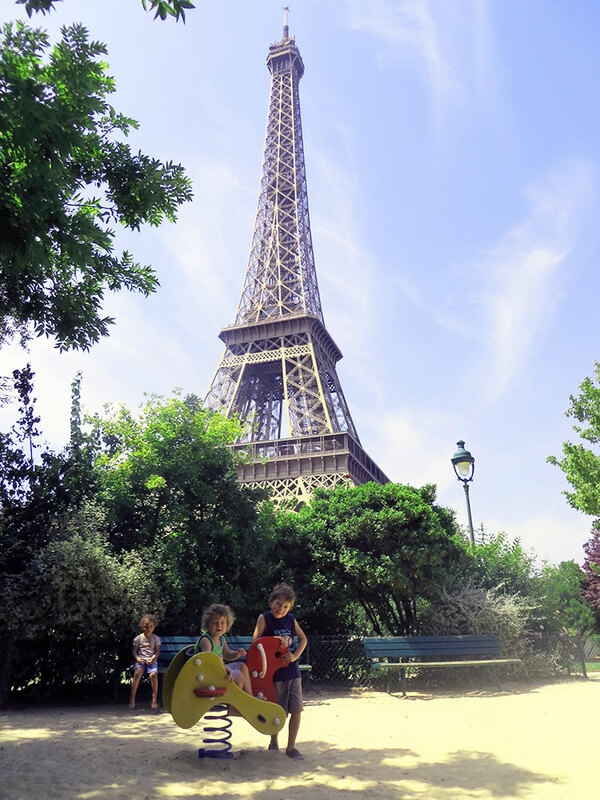 We managed to find a park and have some lunch. The boys had a lovely run around in the park and we got to sit back and enjoy the view! 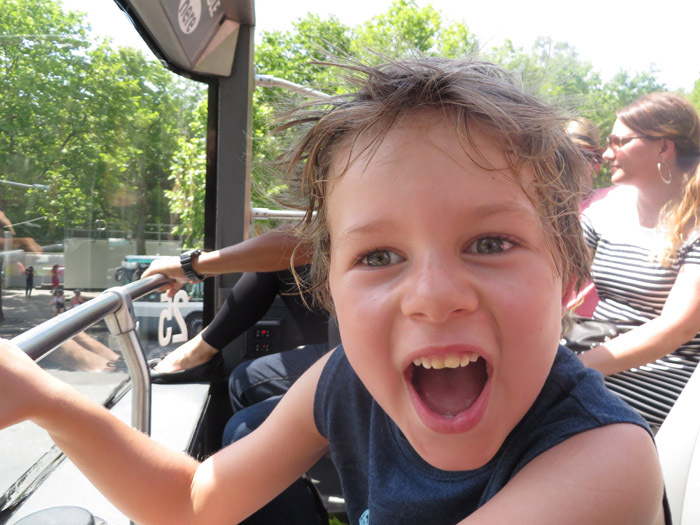 Bus Tour: Adults 40€ for a 3 day pass, Child 18€. We actually really didn’t like our tour and thought it was a waste of money (at nearly 100 Euro!). The commentary was super boring and the bus was very slow. I complained, however the staff of the company were extremely rude and uninterested. I asked for a partial refund as we really had no intention of using the rest of our 3 day pass. They refused. So I resold our passes to the people behind us in the queue for 50 euro! Won’t name the company as they were terrible! 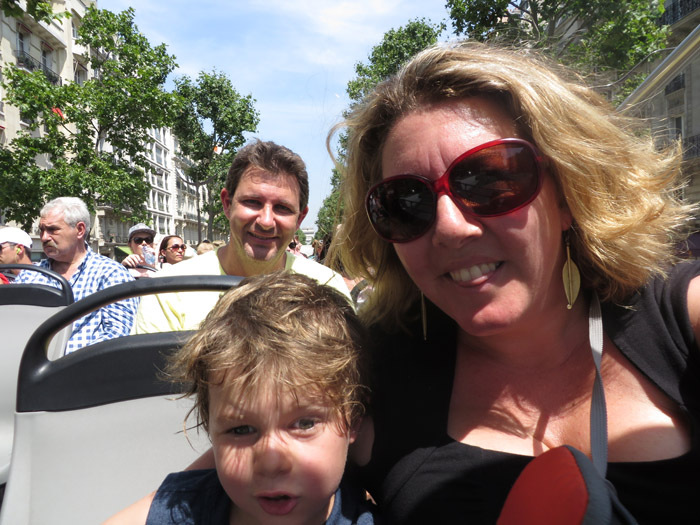 I have always loved the Sacre Cour (been 3 times) I also loved the Louvre, but it is super boring for little kids. For us we found wandering with kids just the betst way to keep everyone happy!